Yes, You Can Still Teach Kids To Love Books : NPR Ed It can be hard to get teens to read, especially with so much technology competing for their attention. A new book looks at ways teachers can help young people find books (and find themselves). The Internet has not killed the book. For film critic David Denby, this wasn't immediately obvious. 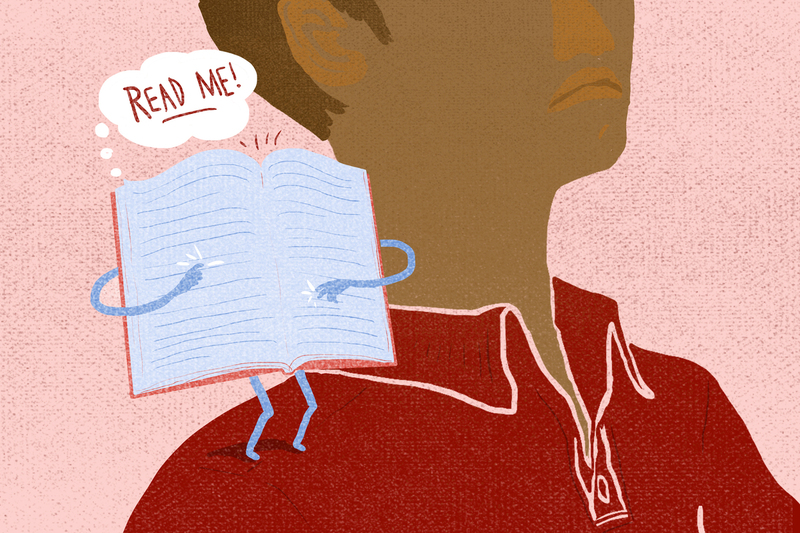 He would watch young people hunched over their phones — on the subway, in coffee shops, walking down the street — and wonder: Are kids still learning to read books? Denby, who is best known for his work in The New Yorker, went back to high school to find out. He describes his experience in Lit Up: One Reporter. Three Schools. Twenty-Four Books That Can Change Lives. He followed three high school English classes for a full year: a 10th-grade class at The Beacon School in Manhattan, Mamaroneck High School near New York City and James Hillhouse High School in New Haven, Conn. 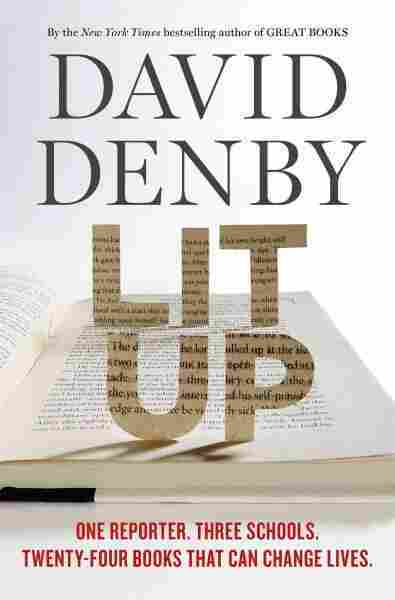 Seated on a table in the back of a New York classroom — pushing copies of Shakespeare and Herman Hesse out of the way to make space for himself --Denby learned that schools can absolutely still teach kids to love literature. Why did you only look at three schools, and why did you look at the students in those schools so intensely? I dislike this American metric prejudice whereby no assertion can be considered of any value unless it's backed up with statistics, surveys, probabilities. Particularly in the education world. We're talking about young people becoming adults. Becoming themselves. Becoming souls. Becoming conscious. And I don't see how that's measurable. And I was sick of failure. I was sick of almost the pornographic reveling in American ineptitude. I wanted to see something that worked. I didn't want to write a handbook for teachers. I didn't want to write a survey. I wanted to follow one organic development of a class. I chose Beacon because someone told me about the school. I found that this was a very interesting class because this guy, Sean Leon, was asking students questions that challenged them, I don't know how else to put it, existentially. I mean, they were reading Dostoyevsky and Herman Hesse and Vonnegut, and Faulkner and Hawthorne and so on. The books that they read tended, with his help, to focus attention to these questions: Who are you? Why do you live? Where are you going? What are you doing? You know, if you take a typically sarcastic, joking, self-deprecating, media-hip American teenager and scratch him two or three times, you'll find this sort of earnestly questing person underneath. That's what he did. Hillhouse is a large inner-city school ... a very different environment. The kids had strength of feeling and perception. What they weren't, was eager readers. At the beginning of the year, these were 15- and 16-year-olds, African-American kids, they weren't willing to do the reading at all. The teacher would give them an assignment and they would come in the next day and be blank about it. They couldn't see, particularly the boys, the point of reading in English class. What was it going to do for them? So that was what Jessica Zylenski, the teacher [at Hillhouse], was trying to engage with and, if necessary, break down. It's funny to me because, you explicitly said that your book is not a handbook. But the Hillhouse chapters, they do tend to focus on techniques that teachers might use. The issue always was: How do you get them started? They read To Kill A Mockingbird, which may seem an odd choice. In other words, they read about poor white people in Alabama in 1930. She wanted them, however, to go from those lives to their own life. From how people lived then to how they lived in New Haven in the 21st century. So initially they were unwilling to read and they started reading in class together, and then she started moving them to other things. They tried a little Shakespeare. A little Melville. They loved stories by Vonnegut and Hemingway. By the end of the year, they were choosing among four books. And she plunged them into difficult and tragic material because that was what seemed real to them. I want to pivot back to Sean Leon's class. He always seems to see them right where they are and get them where they need to go. Well, I know I could never be a teacher. To be a great teacher, you have to be in touch with what 15 or 20 or, in Sean Leon's case, 32 teenagers are feeling at any one moment. He has that sixth or seventh sense of where the kids are and how far he can push them. He would plunge into a text, play them off against each other. He never just sat down, laid down the law. He would pull them out of their defensiveness and get them to perform. Jump from the text and to bring it right into the center of their lives. I am always bothered by people saying, "Technology is the worst thing that could happen to the world." But that's not what you do here. Exactly. I mean, who am I to say that only literature matters and only books matter? I spent 45 years as a movie critic. I am addicted to email. I use Facebook and so on. I'm on the Web for all sorts of information. But I also love best to read, and I feel I have to pull back. He [teacher Sean Leon] was saying you've got to have yourself. You've got to have your family. You've got to have conversation. Movies are fine. The Internet is incredibly useful. But don't think you're going to find yourself there. You may find certain reflections of yourself, but you cannot find your soul there. In the book, Leon's students wind up doing a pretty good analysis of the hypocrisy of the show Teen Mom. It's almost like he's saying: "It's fine to be watching TV, but think critically about it." I mean, it's an enormously powerful critical tool, reading literature and addressing the world. It's not simple lessons, of course. And it doesn't happen overnight. It's incremental. It happens over your entire life. All of life is an education.